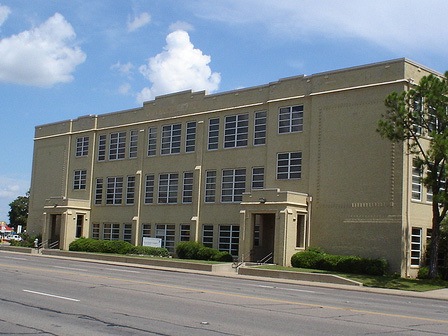 This stable, currently in-use site includes the 1922 Arlington High School academic building and the 1940 gymnasium/cafeteria. It was the largest public education facility between Fort Worth and Dallas and it is one of the few remaining historically important buildings in Arlington. The academic building served as the only high school in Arlington until 1956 when a new building was constructed at another location and the original buildings became a junior high school. In 1968, the school district sold the campus to the University of Texas. It has been used for classrooms and offices ever since. The high school was the center of community activity and a source of pride. It produced countless leaders who went on to successful careers and positions of leadership in the community. But the buildings are threatened; UTA has stated it plans to demolish the facility for redevelopment purposes, having demolished another historic building on the site. The building could be adapted to any number of functions such as a community-friendly information center; a repository of information of the history of AHS and the University; a conference space; an office space; condominiums; lofts; senor housing; and or an art center or museum.